After more than 2 million downloads of Vivaldi’s technical previews, the beta release marks the firm transition of Vivaldi from a tool for early explorers to a browser anyone can use to navigate the web with speed and power. The beta also introduces more features that transform your everyday interactions on the web – boosting productivity, efficiency and fun. Customizability and complete tab control. You’re unique. So is your friend. Your sister. Your neighbor. The Vivaldi web browser lets you do things your way. It adapts to you – not the other way around. Prefer your browser tabs placed at the bottom or on the side of the window? Check. Want your address bar in a different spot in the browser? Sure thing. Because we’re making it for you, we let you customize everything. Every browser today uses tabs to display your open web pages. But since Vivaldi’s founding team includes people who helped introduce the world to tabbed browsing, you can expect us to bring some new ideas to the table. When you start Vivaldi, you pick up right from where you left off, with the same tabs open. You can also stack your tabs and form groups based on content or theme, and then tile those stacks and display your tabs side-by-side in your browser window. Ever accidentally closed a tab you needed? Simply recover it from the trashcan in the tab bar. Every day we think about making Vivaldi just a little bit easier and faster to use. Quick Commands let you access key browser functions through written commands. If you’re a command line junkie, this is for you. Of course, you might also love our numerous keyboard shortcuts to control your browser. But what if you prefer your mouse? Then we recommend mouse gestures. Through simple gestures with your mouse you can direct Vivaldi to do almost every key browser function. Save time and look like a browser pro at the same time. 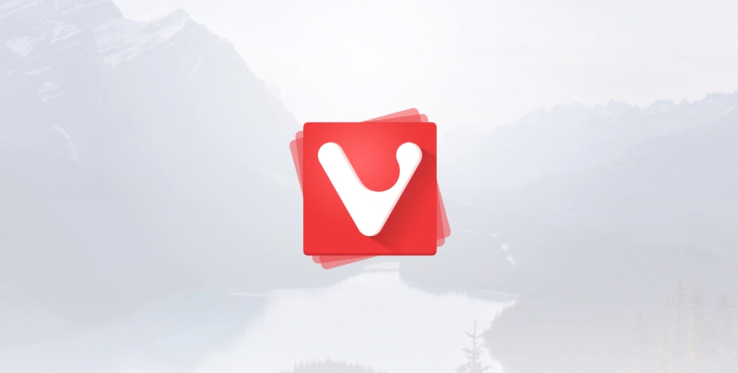 Vivaldi helps you be more productive. By giving you smarter tools to organize bookmarks, faster access to your favorite sites through Speed Dial and even giving you a robust note-taking feature directly in the browser. We added all of these to help you do more, faster. Vivaldi’s Speed Dial is more than just your favorite sites, it’s a full command center to find the things you need online. See your top sites, create multiple speed dials for different tasks and view bookmarks all from this central source. And while you browse, feel free to take notes with Vivaldi’s built-in note taking tool. Add a quote, link to the page in question and attach a screenshot. Vivaldi also makes you more productive by offering Web panels that make frequently-used services, always available. Great for news feeds, weather and sports, among other things. Web panels are a true productivity boost for any power user. Vivaldi sports a modern, sleek interface that seamlessly blends into the site you’re browsing, altering the color of the UI depending on the page you visit. Vivaldi packs a lot of features and customization options in its browser, far more than any other. You can tweak and adjust Vivaldi in millions of ways. New in the beta release is improved support for browser extensions. You can install most extensions made for Chrome, giving you more freedom to build the browser of your dreams.